Increase your certified inventory exposure and increase certified program awareness. 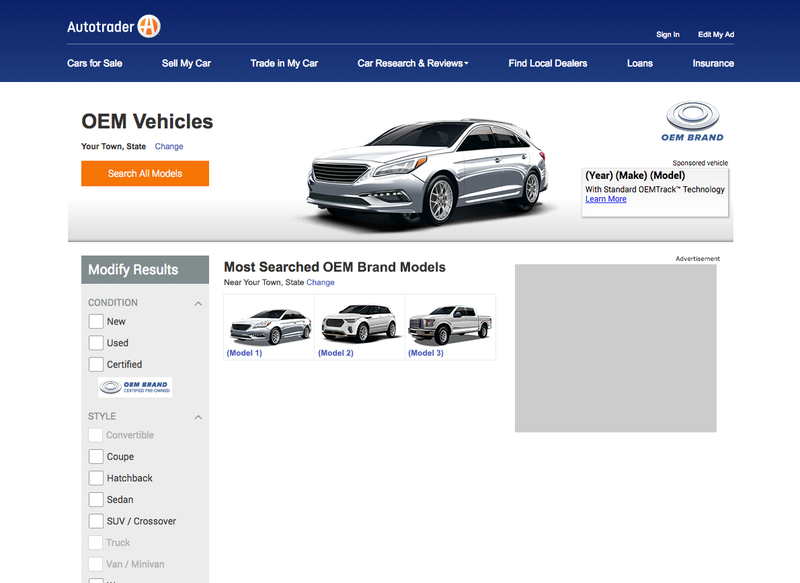 Combination of high-impact presence on real inventory listings. 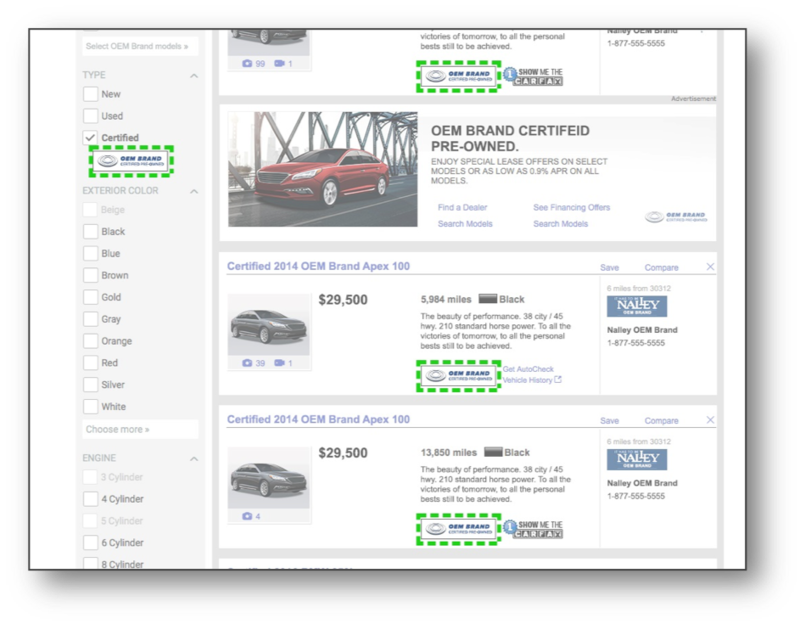 Surface real certified inventory to influence consideration as shoppers navigate their car buying journey. Certified is primary owner for listings and ads. Tile is 110×30 or 440×120, high resolution image.